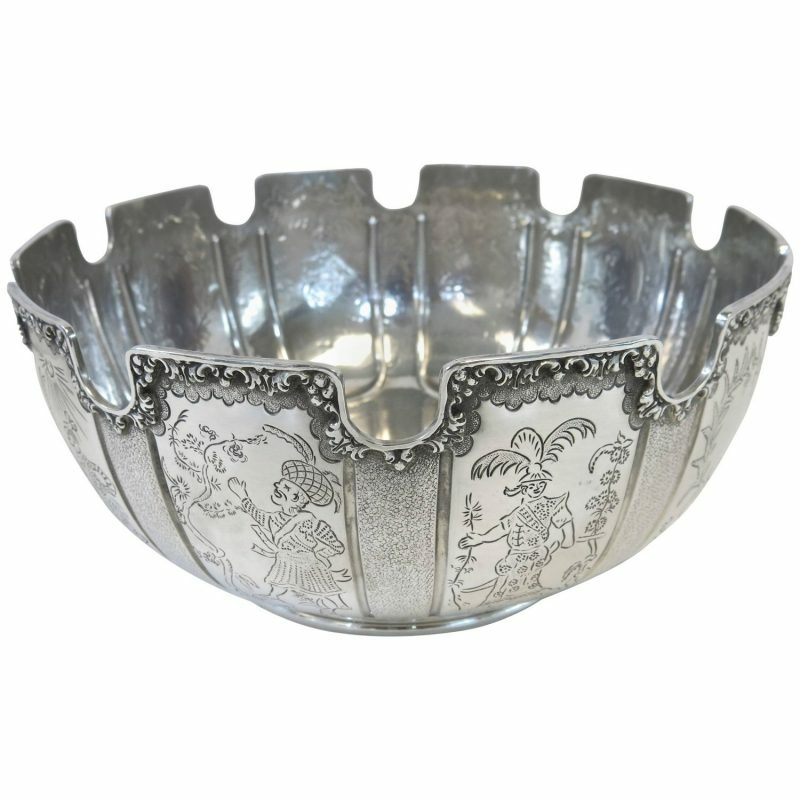 An unusual, sterling silver, hand-hammered bowl with chinoiserie decoration. Custom ordered and handmade in London, England by Tiffany & Co. 1975. 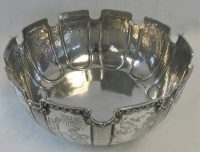 The bowl has ten panels, each with a Monteith style rim. Four panels on each side with engraved chinoiserie figures and one blank cartouche on each side. Each panel is separated by a stippled border. 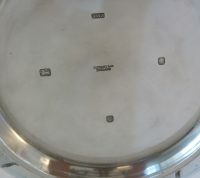 The bowl is hallmarked on the underside. Measures: 10 1/8″ diameter x 4 5/8″ high. 1,450 grams.